People are intuitive physicists — knowing from birth how objects under the influence of gravity are likely to fall, topple or roll. In a new study, scientists have found the brain cells apparently responsible for this innate wisdom. In a part of the brain responsible for recognizing color, texture and shape, Johns Hopkins University researchers found neurons that used large-scale environmental cues to infer the direction of gravity. The findings, forthcoming this month in the journal Current Biology, and just posted online, suggest these cells help humans orient themselves and predict how objects will behave. Connor, along with lead author Siavash Vaziri, a former Johns Hopkins post-doctoral fellow, studied individual cells in the object area of the rhesus monkey brain, which has turned out to be a remarkably close model for organization and function of human vision. 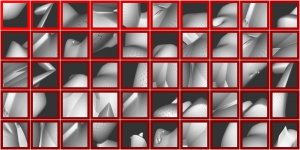 They measured responses of each cell to about 500 abstract, three-dimensional shapes presented on a computer monitor. The shapes ranged from small objects to large landscapes and interiors. They found that a given cell would respond to many different stimuli, especially large planes and sharp, extended edges. What tied these stimuli together was their alignment in the same, tilted rectilinear reference frame. These cells, sensitive to different tilts, could provide a continuous signal for the direction of gravity, even as a person constantly moves. In other words, Connor said, these neurons could help people understand which way is up. The team’s initial discovery of cells sensitive to large-scale shape, reported in Neuron in 2014, was surprising because they found them in a brain region long regarded as dedicated exclusively to object vision. The new findings make sense of this anatomical juxtaposition, since knowing the gravitational reference frame is critical for predicting how objects will behave. This work was supported by National Institutes of Health grant EY024028.